It’s hard to believe that a week has already flown by at the Ladder Ranch! 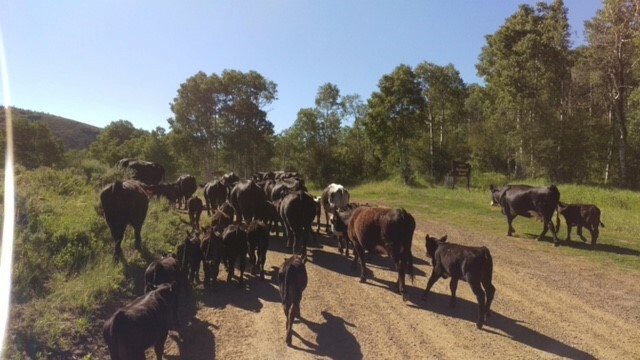 We started out the week by trailing some more cattle to the forest. Most of them went okay, but there were a few that decided to take to the brush! After a lot of hard riding, I just had to leave them be and go help with the other bunch. The next few days were taken up with driving to and from the Environmental Stewardship Tour. We had a good time and got to see some pretty country. When we got back, we had a big docking to get through. We docked well over 1200 lambs and finished fairly early in the afternoon. Back at the ranch, we had to pick up some little bales in the field so that we could move the sprinklers out of the way for the hay contractor. We wrapped up the week with another small docking and counting sheep for the forest. 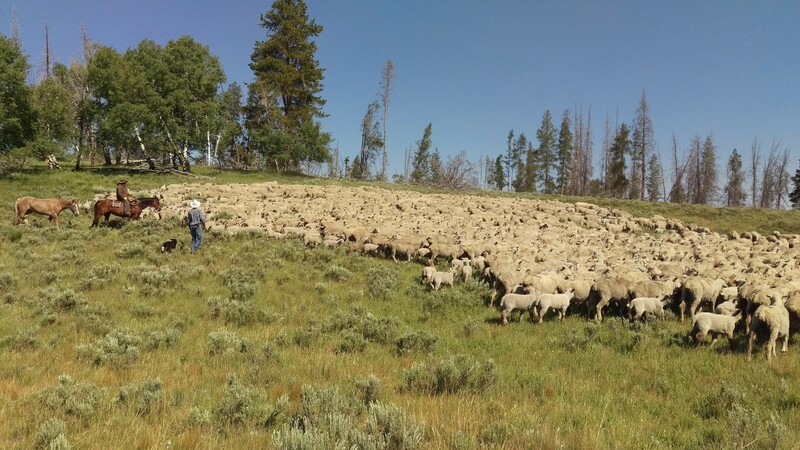 The Ladder Ranch marks about 40 ewes with large paint numbers and about ten have bells put on their neck. The idea behind this is to provide the herders with “marker sheep” to keep track of. If one of the marked sheep is missing, chances are that they have some more sheep with them. I spent several hours on Saturday hauling round bales out of the field to the stackyard. After that project was done, we took the tractor down and put in concrete blocks in the river to turn irrigation water down the ditch. Before the night was through, I baled up about 170 more small bales of grass hay. It was a busy few days, but it sounds like next week will be not as chaotic. More haying and general ranch work coming up! The Cundall Ranch is set in a beautiful spot along the Cottonwood and Boxelder creeks near the Glendo Reservoir. The ranch has been owned by the Cundalls for over one hundred years, lending much experience to this hard-working family. Although it hasn’t always been easy, the Larry and Ruthie Cundall have put enormous effort into preserving the land for future generations. There are a few areas which sets this ranch apart from its modern counterparts. The Cundalls have put a good deal of time and resources towards water development on their property, and it has paid off. 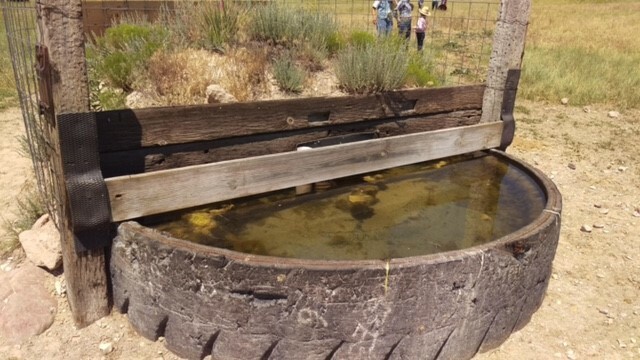 As partners with their local NRCS office, the Cundalls were able to install several new wells and springs for livestock water, as well as cross fencing to subdivide pastures. This project enabled them to utilize their large pastures better and help prevent the cattle from damaging the land. Furthermore, the resident wildlife of the area are able to utilize the water tanks, reducing the distance that herds must travel for water. The second area of excellence shown by the Cundall family is that of vegetation control. Over the years, they have tried numerous strategies for controlling undesirable plants, like cheatgrass and thistle for example. Their efforts have included predator insects, herbicides, and targeted grazing with the cattle. The Cundalls also learned how to train their cattle to eat the thistle, giving them yet another management tool for their pastures. Always on the lookout for a better way, the Cundall family is eager to try new methods for controlling undesirable plants and increasing the quality of their land. The Cundall family takes great pride in the historical value of their land. 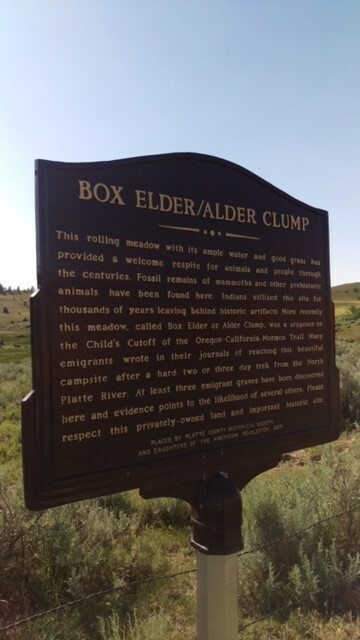 The Boxelder Creek Campsite used by pioneers on the Oregon Trail rests on the Cundall’s summer grazing pasture. This historical site was referenced many times in recovered memoirs of those that used it in their trek Westward in the 1800’s. Several graves were discovered near the site and some of the persons buried there were identified through careful research. In 2015, the Cundalls designated the land as a historical site, installed a metal sign on the perimeter and a plaque on the graves. This effort took courage, but the Cundall family realized the significance of this area and took measures to preserve it before it was lost. In addition to their tangible practices and methods for managing the ranch, the Cundalls operate with an open mind to find the best way to accomplish a task. The Cundall family is truly worthy to receive the 2018 Environmental Stewardship Award because of their heartfelt efforts to preserve and enhance the land, manage vegetation, and preserve the historic tradition of their ranch. I didn’t know you were up around Glendo. Sounds as though they are keeping you plenty busy. SO PROUD OF YOUR ACCOMPLISHMENTS . HOW ARE YOU DOING WITH YOUR CHINKS. HAVE YOU STARTED YOU SADDLE YET? You will be headed home before to long won’t you? LOVE YA BIG GUY. Write when you can…….